nice, simple, very stable and ok from all points of view. please be advised that you should have an original nokia in order to issue an opinion. Easy to use budget phone. To switch on loudspeaker during incoming or outgoing call, press C and scroll down to loudspeaker mode and there you are. 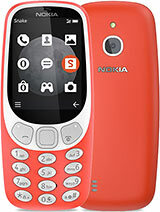 Hi,Iam Najwa,I wander ,what is the name of the program that allow me to transfer polyphonic tones and other tones or pictures from my computer to my nokia 2600 mobile by using cable,with thanks. hi, i am anwaar .i have this phone.this is a perfect and decent choice.it's a sooooper mobile phone.ilike it. It`s good phone just there is a problem that is sound quality. It has very poor sound quality any one help me to increase the sound of this phone. I have this phone. It's great and very cheap (I've bought it for 35$, new). It hasn't got mms or Java, but I don't use it anyway. Hi...I bought this phone 4 months ago. Nice basic phone, but like all Nokia phone. I read in this forum that there's suppose to be a built in handfree with loudspeaker, but for the life of me I can't find it anywhere. I've gone thru all the phone menu and the manual, ...nada, none at all. Can anybody help me find this function??? This phone cannot be used with WAP service or MMS service, so... No thanks ! Bottom line is, if you want a great phone. This is it. It does what it is suppose to do. If you want to take pictures, go buy a camera, if you want an mp3 player, GO BUY ONE!! The pitcures all phones take are horrible quality anyway, and the size of memory for mp3s make the phones lousy players. This phone has always preformed wonderfully for me, and my wife has the same kind as well with no problems. We do have cameras to take pictures and mp3 players for music and they work great too. There are good reasons why these are called phones. My mobile nokia 2600 is working fine for ordinary calls. But it gives a lot of distrubance while using open speaker. How can i get this problem solved. The maximum volume to hear voice is very low. How can i increase it? how to activate the IM on 2600??? Happy with my fone,but it's too delicate-just a little fall splits it apart.I wish it were a bit more robust like 3410 that I'm used to.Can anything be done about it's colors?